Today I celebrate 30 years on earth and that’s kind of a big deal you know. 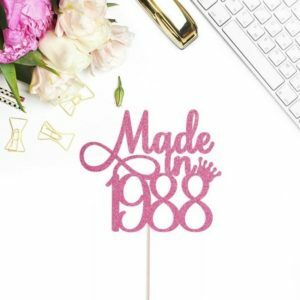 Although I really do believe age is just a number it was still a little shock to my system that soon I won’t be in the twenties club. 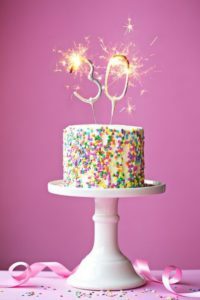 But I soon realized turning 30 is a privilege that not everyone gets. So today I’m thankful that I am joining this club, my twenties was amazing, I studied, I got married, had babies, travelled and did most of things I wanted to do and along the way I learnt so much about myself and life in general. So today I share 30 life lessons I’ve learnt in my 30 trips around the sun. 1. Success isn’t the secret to Happiness. The true secret to happiness is gratitude. 2. Travel and explore new place as much as possible , it does wonders for your soul and understanding of the world and different cultures. 3. You will never run out of love to give, so give it freely and to everyone you encounter. 4. Everyone and I mean everyone has a story to tell, you just need to be willing to listen. 5. YOU determine your own worth. Not your social media friends, amount of followers, bank balance, car you drive or house you live in. 5. Wear the right bra size, It will change your life! 6. Nobody cares if your can’t dance well. Just get up and dance! 7. No one has it all figured out. Anyone who says they do is lying. 8. Always trust your gut feeling! 9. Talk to God. It’s never too late to turn to God for help, all you have to do is ask Him and He will answer your prayers. It might not always be the answer you are hoping for , but He has his reasons, trust Him. 10. Time is the ultimate infinite resource- not money. It’s time that you can’t get more of. You can always make more money , there is plenty of it out there, but your time is limited. 11. Forgive others no matter what they did to you. This is the key to inner peace. BUT you don’t have to be friends with the people that hurt you. 12. Love is stronger than death. When we lose our loved ones all that’s lost is their physical form, not your love for them. 13. Make time for yourself no matter how busy you are! 15. Learn to ask for help when you need it, that’s what friends and family are for. 16. Want less. It’s one of the lesson that as I get older I realize is more and more correct. You are happier with less. Things don’t make you happier and often lead to clutter and chaos. 17. Read more! Books are the best adventures in the world. 18. Life is too short for bad wine, coffee and chocolate. 19. Be kind to people! Everyone you meet is fighting a hard battle. 20. Take photos with the people you love. 21. Never compare yourself to others. Everyone has a unique purpose and their own story. 22. You will regret the things you don’t do. So take those risks , you never what might happen. 23. Express your emotions. Don’t be afraid to cry, it’s okay to let yourself feel your feelings. 25. Drink plenty of water! 26 If it says it’s not dishwasher safe, it probably isn’t. No need to try it out. 27. The only cure to a hangover is sleep. 28. Not everyone will like you. No matter how kind and loving you are , you won’t always be everyone’s cup of tea. Don’t take it personally, don’t make their darkness your own. 29. Family and friends are the ultimate currency of a life well lived. 30. It’s NEVER to late start over and pursue a new dream. Reinvent yourself as many times as you like in your life and don’t give a damn about what anyone else thinks. Ain’t nobody got time for haters.